In August, 2016, Ignition Casino reached an agreement to purchase Bovada Poker, with players being encouraged to migrate from Bovada over to Ignition. The sale was finalized on September 30, 2016, and Bovada will no longer offer online poker. NOTE : Bovada Re-entered the US Online Poker market. To read more please see our Bovada Poker Review. Ignition Poker is really just a re-branding of Bovada, offering players a virtually identical experience with very few changes. There is no sense messing up a formula that has worked so well, so players may not even be able to tell the difference between Bovada and Ignition really, and that’s the point. Ignition poker is an online poker room allowing US players. The U.S. online poker room is being re-branded as Ignition Poker, and will be operated through Ignition’s main site. They have already transitioned to this and players are free to migrate their accounts as well as new players being now welcome. In purchasing Bovada Poker, the intention here is clearly to offer players the same quality experience as Bovada did, otherwise the purchase would not even make sense. If the product quality ended up inferior, players would simply choose not to come over, or would not end up staying very long. One of the nice things about this transition is that players won’t just be moved over to Ignition Poker without their consent, as this is a voluntary thing, and they are given the option to do so, together with ample time to just withdraw their money if they choose. Ignition Poker is only really interested in players who want to play with them, but in order to sweeten the deal, they are offering all new players to them, including former Bovada players, a nice Ignition Poker bonus. Players transferring their account will receive a $10 cash bonus within 4 hours of the transfer. In addition all players who make their first deposit at Ignition will receive a 100% match Ignition poker bonus, up to $2000, plus an additional $100 Poker Drip bonus. There is no Ignition poker bonus code needed for this offer. In addition you will also receive some entries into premium free-rolls. 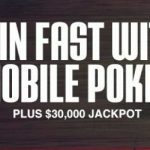 While the Ignition poker bonus is pretty modest compared to many other Us online poker sites, it’s an easy $2000 in your poker account, and if you do like casino games, there’s even more money available on the casino side of things. The poker bonus is released in 4 stages and all you need is 400 player points to unlock every $100, which is nice. Other than that, this is the same software, the same traffic, and the same games as Bovada. This really is Bovada, only under a different name now. Bovada has offered an extensive array of both cash and tournament action, with a very large traffic base, and are particularly known for the large amount of tournaments they offer, with $2 million in guaranteed tournaments every week. Instead of taking years to build up their brand, Ignition instead chose to purchase the number one poker room in the United States, which also happens to be on a network that is the third most popular one in the world. Bovada didn’t get in this position by offering mediocre poker, and in fact Bovada Poker has risen to be among the very best poker rooms in the world, one that is without compromise. 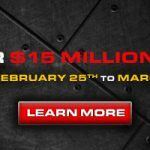 Being renamed Ignition Poker will not change that, and they offer players a busy and exciting poker room, full of promotions, and perhaps most importantly, reliable access to your funds. 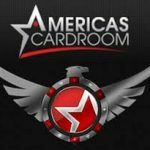 This is the area where most U.S. online poker rooms have failed at, as being able to make easy deposits and timely withdrawals are important to a lot of players. Bovada has risen to the top for a lot of reasons though, and Ignition Poker is fully committed to maintaining the value of this brand by continuing to offer the high quality experience they have been known for. 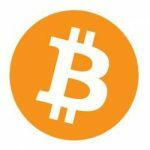 They will achieve this by offering the same experience actually, purchasing the business model and sticking to it, and watching it continue to grow. They are still the gold standard for U.S. friendly rooms and there’s absolutely no reason why this won’t continue. The main thing here is that they are a reliable place to try out, although if you’ve played at Bovada before this won’t even be trying it out, it will be just continuing to play at Bovada really. Players from the U.S. who haven’t tried out Bovada are certainly encouraged to take advantage of the nice bonus they offer to give them a try, as this is clearly the best U.S. friendly poker room out there. 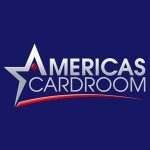 Bovada Poker has been a real success story and emerged as the clear winner in the post Black Friday online poker market in the U.S. Bovada had been sold off to Morris Mohawk Gaming some time ago, in order to distance the parent company Bodog from the U.S. market, while still allowing Americans to access their poker network. Morris Mohawk Gaming has a long standing relationship with Bodog and has offered a North American presence for the brand for some time, being located in the Kahnawake Indian Reserve in Canada. The Kahnawake Mohawks have played a central role in online gambling since its earlier days, by way of its commission, and remain one of the largest regulators in the world. 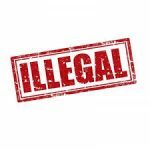 Ignition Poker is also regulated by the Kahnawake Gaming Commission, and will now take over the business operations of Bovada Poker. Terms of the deal have not been disclosed, but there’s no doubt that a lot of money has changed hands here, as the Bovada brand is the dominant force in U.S. online poker these days, and has well outperformed both the U.S. and worldwide online poker market for some time now.